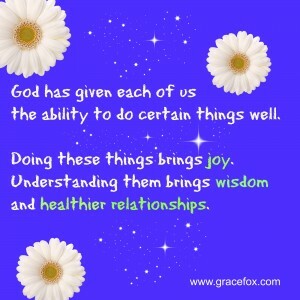 God has given each of us the ability to do certain things well. So if God has given you the ability to prophesy, speak out when you have faith that God is speaking through you. If your gift if that of serving others, serve them well. If you are a teacher, do a good job of teaching. If your gift is to encourage others, do it! If you have money, share it generously. If God has given you leadership ability, take the responsibility seriously. And if you have a gift for showing kindness to others, do it gladly. A couple of years ago I received an email from a friend in response to one I’d sent her a few days prior. Rather than answering a question I’d asked, she told me that my message contained a punctuation error. When I asked her what it was, she told me to find it. “Discovering it yourself will help you learn and remember more effectively than if I simply tell you what it is,” she said. I felt annoyed. And she felt hurt. Months later, I began an in-depth study into these motivational gifts. To my amazement, I learned that people gifted in teaching are sometimes known to correct punctuation and spelling in letters and emails! I thought about my friend—her interests (reading), her passion (researching topics related to health and wellness), and her career choice (teaching). I realized, with chagrin, how quickly I’d judged my friend for disrespecting my time when she was, with complete sincerity, looking out for my best interest. I contacted her and apologized for my attitude. Understanding these motivational gifts—their weaknesses and their strengths alike—has helped me better understand my husband, my kids, and my coworkers. It’s even helped me better understand myself and how God has hardwired me to operate within His kingdom most effectively. Have you done a study on these gifts? If not, I recommend reading Don and Katie Fortune’s book, Discover Your God-Given Gifts. I also teach on this subject, so give me a call if you’re interested in having me speak at your next event. 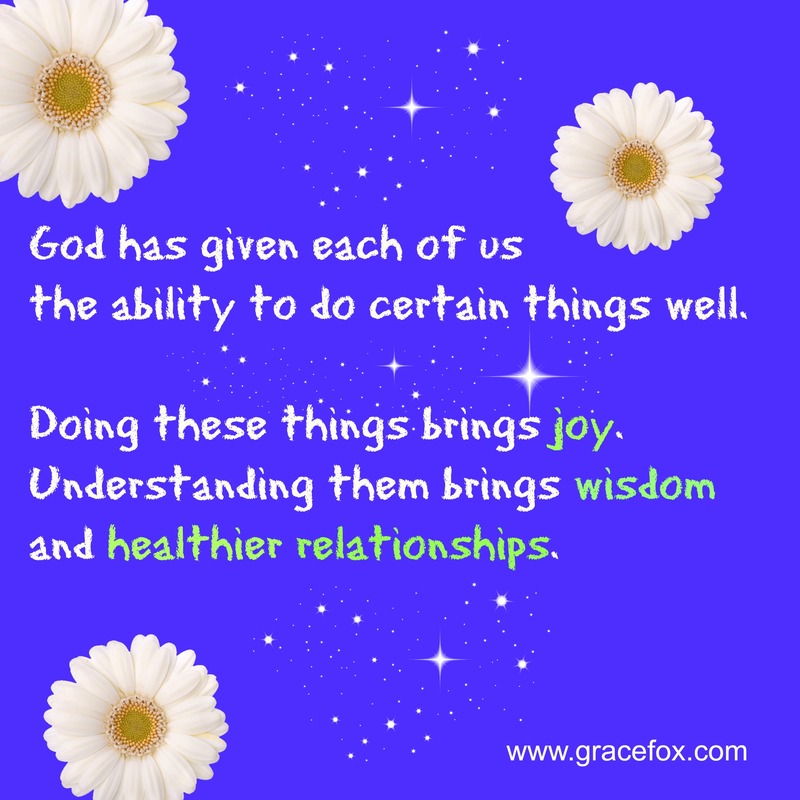 Jump to Conclusions and Judge, or Extend Grace? How Does Jesus Want Me to Love Someone Who’s Hurt Me? Why Do Our Choices Matter So Much? My gift is encouragement and I have a dear friend whose teaching gifts are amazing, but like you I once misunderstood her gift and took it as a harsh critique. I’m learning! Thanks for the gentle reminder, Grace. I’m learning, too. And I’m finding that, the more I learn, the more patience and understanding I have. We’re all people in process, yes? Nice post, although I disagree with your friends approach in helping you. I think most people would find her method of teaching frustrating. People are more open to you when the help comes in a smooth, encouraging manner. Pointing out the mistake and telling you why it is incorrect actually helps the person in error instead of expecting them to pour over a document seeking out a mistake. Most people just aren’t going to do that. Yes, we all have gifts and we should be out sharing the gifts the Lord has bestowed upon us. 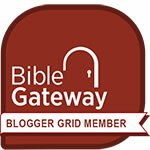 We also need to pray about the best way to share our gifts. Thanks for your comment, Mary. I totally agree with you about the method in which we share our gifts being important. The more Spirit-controlled we are, the better! I tell ya! I love your honesty! You know….this subject right here is right where I’m at right now! I have just crossed over from being that poor little hurt and offended girl (and yes, I did ask God to help me rise above this, and learn something about why I was so easily offended)(and it could bring me down badly to where I’d run and hide and eat ice cream and watch a movie). Well, now I see all this stuff in a totally different light! Thank the LORD! I see (and it’s in the beginning stage) that people are people, all different…..mostly not meaning to hurt you/me. I needn’t be offended when someone says the most hurtful, awful and soul or heart-pearcing thing that could come my way. It’s how I receive it that counts and what I do with that…….my reaction is vital. You see, the Holy Spirit lives inside me, and he can take a lot, and I can take it to prayer instantly, knowing that “that” offending person is just saying words like everyone else, and the words I don’t need, I don’t receive. But I can take and learn from everything said to me. I can even respond with Scripture, or “I’m so glad God calls us His children”. Thanks so much for sharing your thoughts. I love your attitude and honesty, too! Keep sharing here. Your insights are helpful to all.